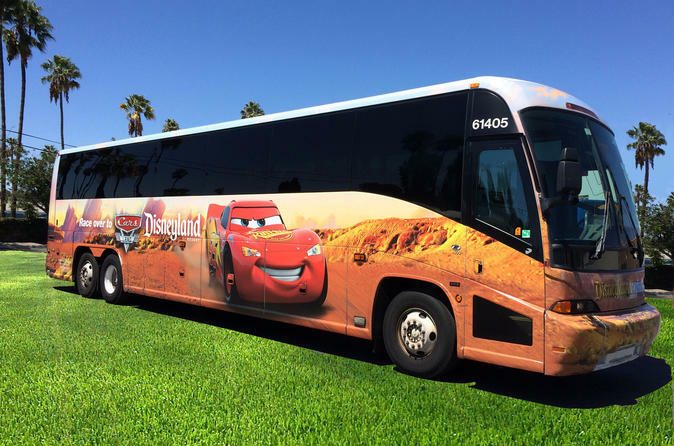 Need a ride to and from the airport on your next trip to the Disneyland Resort? Save yourself some time and hassle of renting a car, calling a service or finding a shuttle with the Disneyland Resort Express transfer from the John Wayne Airport in Orange County to the Anaheim resort area. Start or end your trip to Anaheim without stress and use the Disneyland Resort Express from John Wayne Airport to the Anaheim resort area. The process is really simple, upon arrival at the airport and after exiting the baggage claim area, head to the shuttle point for pickup. Show the driver your pre-paid voucher and board the shuttle for your transfer down to your Anaheim hotel. If you've purchased a roundtrip option, the driver will provide you with a return voucher that may be used on your preferred date. Just call and reconfirm that pickup details per the directions on your voucher and the shuttle will pick you up at your hotel for a hassle-free return to the airport.